Specially priced while long sleeved romper supply lasts. 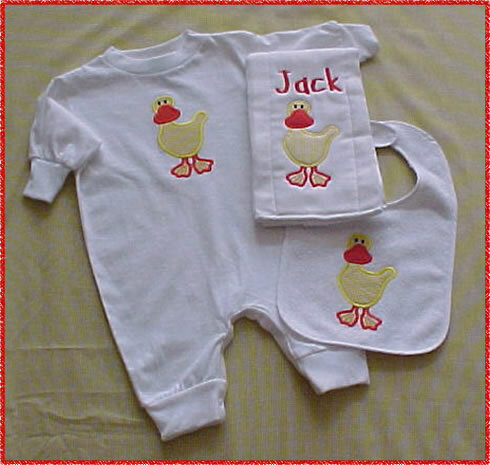 Choose one long sleeved romper, burp cloth and bib of the same design. Be sure to get a custom monogram for the perfect personalized gift idea.